Here I go. Slowly inching my way back into things after twenty days away from FASTE. I'm feeling the urge to talk about random crap that's been happening. So here I go. 1. 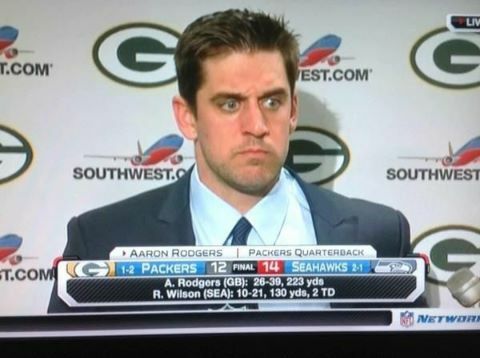 Not happy with the NFL's replacement referees? Turn your TV off. Problem solved. 2. Super awesome video from my church this past weekend. Back to the Future nerds, you'll love this. 3. I drank some apricot beer this past weekend. It was not gross. 4. Last year it took me multiple stops at multiple stores to find a box of Halloween Crunch and a box of Christmas Crunch. This year -- two stops in ten minutes. Done. Hopefully Christmas Crunch will be as easy. 5. 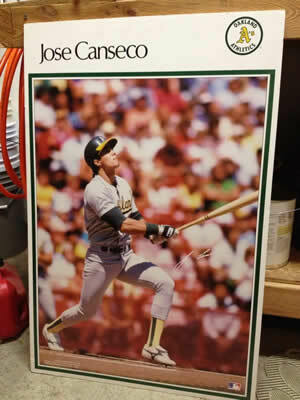 I have a foam-board poster of Jose Canseco that I've had for over 25 years. It's in my garage. I can't bring myself to trash it but I'm not sure what to do with it. I'm open to suggestions. 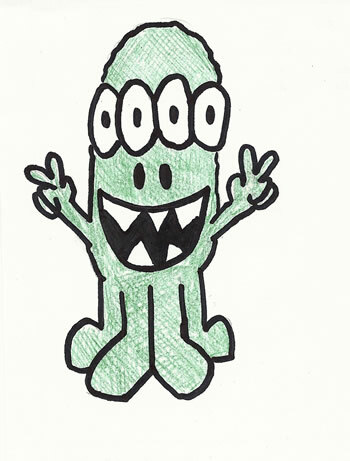 I hadn't mentioned Crud to anyone in at least twenty years, so imagine my surprise when my daughter drew this the other day. Somebody needs to tell her that Crud isn't pink. That last one really is the most awesome. 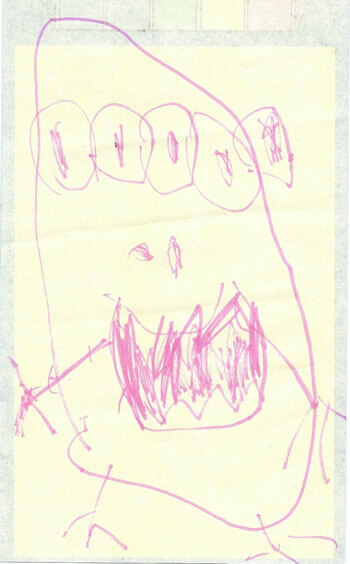 Your daughter's drawing has the pointy teeth and everything. "A Jose Canseco bat? Tell me you didn't pay money for this." Sorry, I have no real advice/value to contribute, just TMNT quotes and the humble suggestion that maybe your daughter's drawing could be a female companion for Crud. Crudette, perhaps? I'm just blown away by the fact that I have never mentioned Crud to anyone in two decades -- let alone shown anyone a picture of him. Then my daughter comes up with a picture pretty much spot on. Crazy.